Right now I am in the process of creating videos for people to learn English for free. By creating I mean I am in the first creative stages of writing scripts and learning how to make videos using Adobe Premiere and After Effects (note: the following trailer was made using iMovie). This is something I have wanted to do for years though it is only now that I have made time to do it. As a part of the process I decided to create this English Grammar horror movie trailer for fun. For some students, learning the grammatical side of things of English IS a bit like a horror movie for them. This trailer gives you an idea of how our videos for learning English might be a little different from other ones you have seen, you know, the typical serious teacher-in-front-of-a-whiteboard style video. I have a crazy sense of humour (humor) and I have always believed that Learning English should be fun. I hope to make videos that are also fun. What do English students fear the most? The first Woodward English videos should be ready in April 2015. 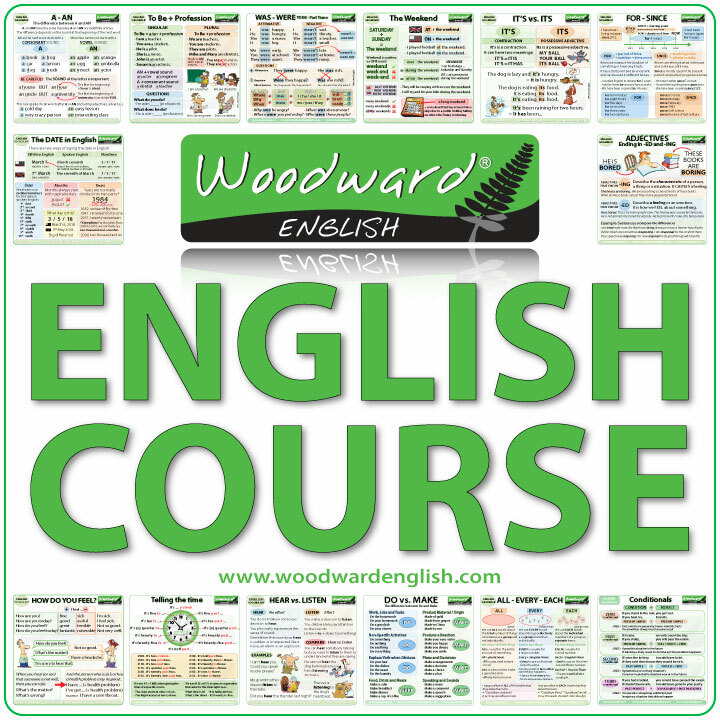 Subscribe to our Woodward English YouTube Channel so that you will know when our English Videos are ready. Meanwhile, overcome your fear of English Grammar by visiting our website: www.grammar.cl where we have lots of free grammar notes and games to play. I hope you enjoyed this sneak peek.